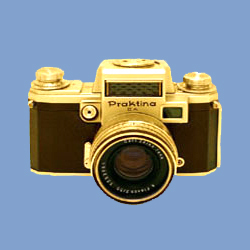 The Praktina was equipped with a complete set of accessories for the macro photography including bellows and macro rings. 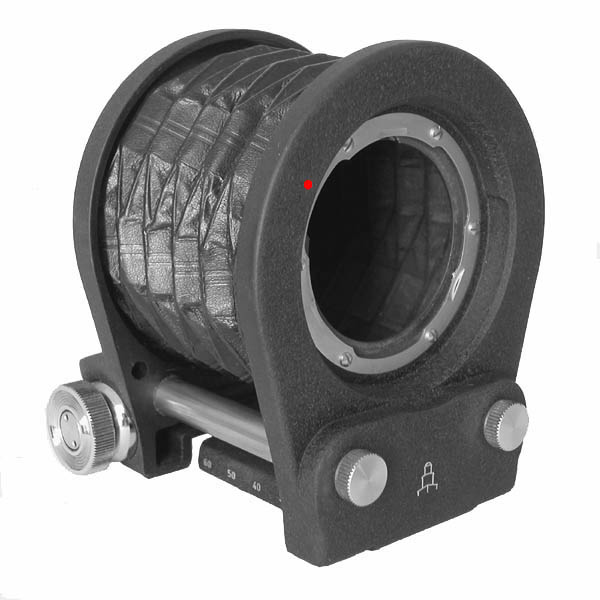 The Bellows Focusing Attachment fits all Praktina cameras. 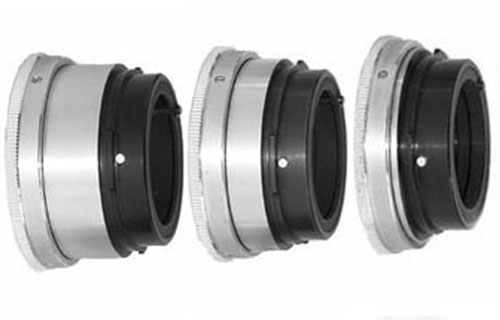 Type 1: It retains the semi-automatic diaphragm function for SB lenses by means of twin shutter cable. 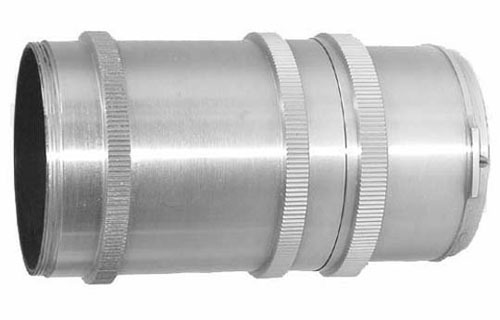 Identification: The cable release plug located at 9 o'clock as to the notch located at 12 o'clock. 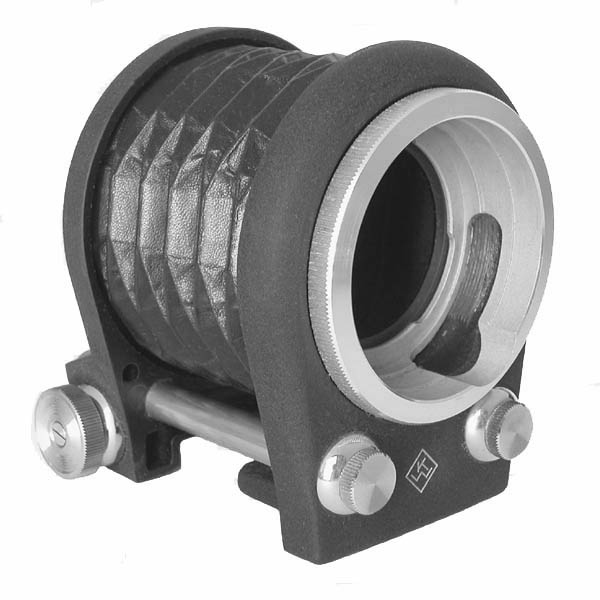 Type 2: It retains the automatic diaphragm function for ASB lenses by means of twin shutter cable. 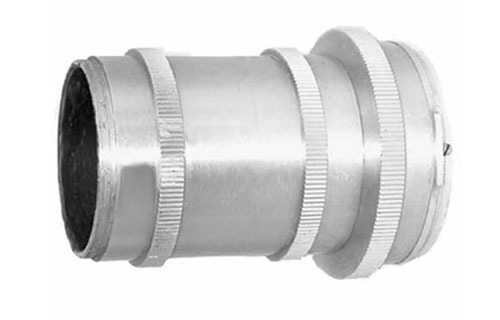 Identification: The cable release plug located at 8 o'clock as to the notch located at 12 o'clock. 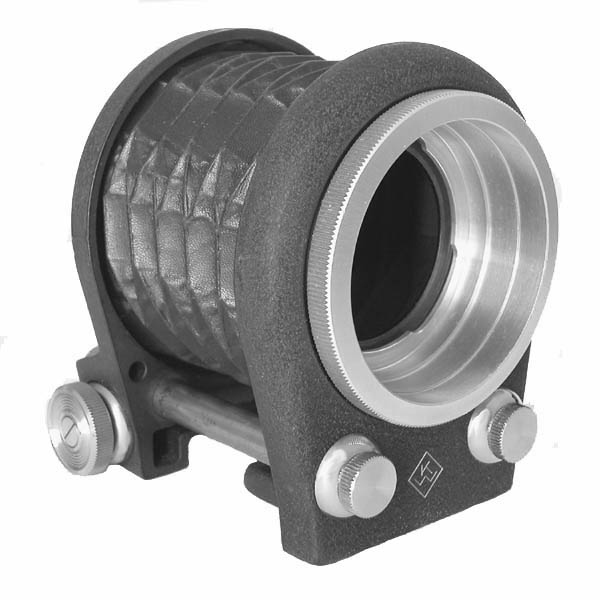 Three rings with extension 12.5, 19.5 and 25mm. They fit BV, SB and ASB lenses. Extension 50mm. With tripod socket. It fits BV, SB and ASB lenses. 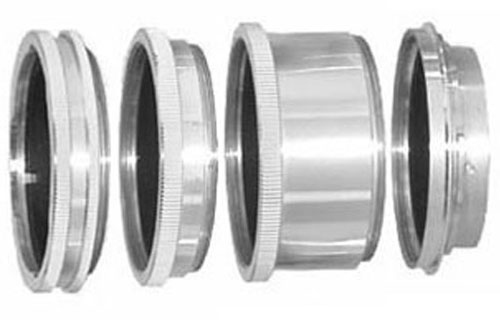 Four rings with extension from 15mm (ring 1a + 1b) to 50mm (ring 1a + 2 + 3 + 1b). They fit BV, SB and ASB lenses. From left to right: ring 1b, ring 2, ring 3, ring 1a. This ring is complementary to the above ring set and allows a reproduction ratio of 0.13 against the minimum of 0.29 of the rings 1a + 1b. Extension 7mm. 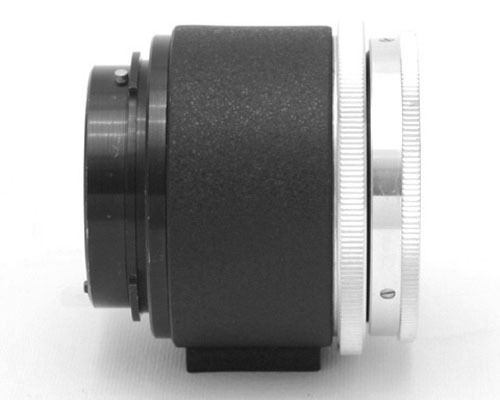 Two rings set to fit lenses mounted in reverse position.